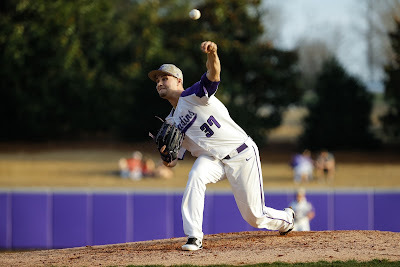 Furman senior left-hander Grant Schuermann. Senior left-hander Grant Schuermann gave Furman a fighting chance Wednesday, but Samford's 1-2 punch from two of the best pitchers in the Southern Conference was too much to overcome. Samuel Strickland and Wyatt Burns combined on four-hit shutout as the second-seeded Bulldogs beat the Paladins 4-0 in the opening round of the SoCon Tournament at Fluor Field. No. 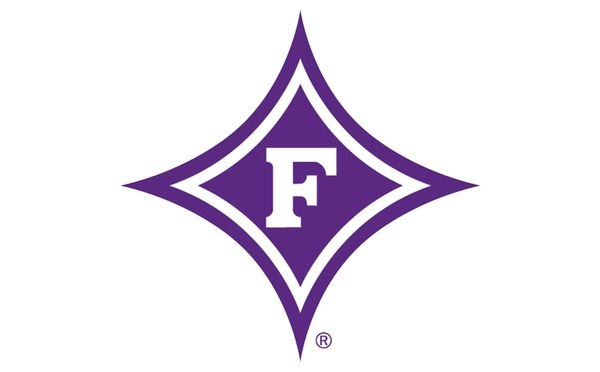 7 seed Furman (24-27) will face either Wofford or ETSU in an elimination game Thursday at approximately 12:30 p.m.
"We pitched so well and played such good defense, we just faced two of the top four arms in the conference," Furman coach Brett Harker said. "You can't ask anything more out of Grant Schuermann. He absolutely pitched his tail off. "The bottom line is we just couldn't make enough adjustments." Samford (33-24) took advantage of a scoring opportunity to take a first-inning lead. After Furman was unable to turn what should've been an inning-ending double play on Brooks Carlson's routine grounder to short, a wild pitch sent Carlson to second. He then came around to score on Ayrton Schafer's single. The score remained 1-0 until the eighth. After Samford loaded the bases with nobody out, Tyler Kimbrell came on in relief of Schuermann. Carlson greeted Kimbrell with a two-run single and pinch-hitter Connor Burns followed with a sacrifice fly to push the lead to 4-0. Meanwhile, Furman never managed an offensive threat. After leadoff man Ben Anderson reached second on a Samford error to open the game, the Paladins didn't have a man reach scoring position the rest of the game. Strickland, who inexplicably didn't win SoCon Freshman of the Year, allowed two hits over six scoreless innings lowering his season ERA to 1.89. He had no walks and 10 strikeouts Wednesday giving him 15 walks and 82 strikeouts in 76 1/3 innings. Burns gave up two hits over the final three innings, lowering his ERA to 1.77, for his 11th save. The SoCon's active career leader in saves had no walks and three strikeouts, giving him nine walks and 73 Ks in 56 innings this year. "They're really good, but we also expanded the zone big time tonight," Harker said. "Honestly, I don't know if I've ever seen somebody swing at fastballs that high. We just made (Strickland's) job a little too easy and just never got anything going offensively." While technically reaching base in the first on the Samford miscue, Anderson saw his streak of reaching base in 32 consecutive games come to an end. Nik Verbeke (5-4, 4.45 ERA) is Thursday's scheduled starter for Furman.